The Champ, Evander Holyfield, with the Frank Callen Boys & Girls Club kids. 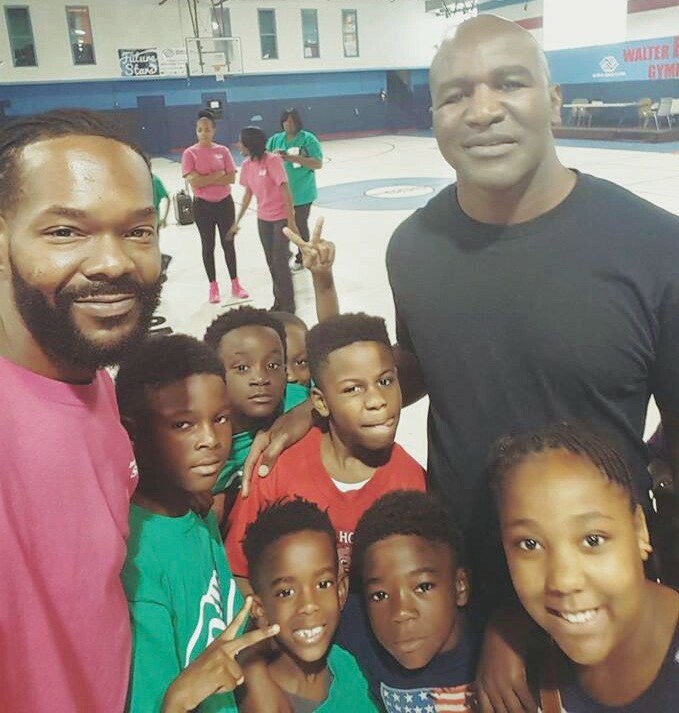 Evander Holyfield made a surprise visit to our children at the Frank Callen Boys & Girls Club!!!! Mr. Holyfield met our Coach, Mike Hamilton at the Mayor’s gang / gun prevention event last evening at the Pink House. After learning about our program from Coach Mike, Mr. Holyfield then decided, on the spur of the moment, to stop by and meet our kids this morning!!! He spent some time talking to our kids about his “Guns Down Knuckles Up” program. What an amazing way to help the Frank Callen Boys & Girls Club celebrate 100 Years of Service in Savannah!